White 375 gold earrings - glossy holder, transparent zircon of round shape, stud fastening. 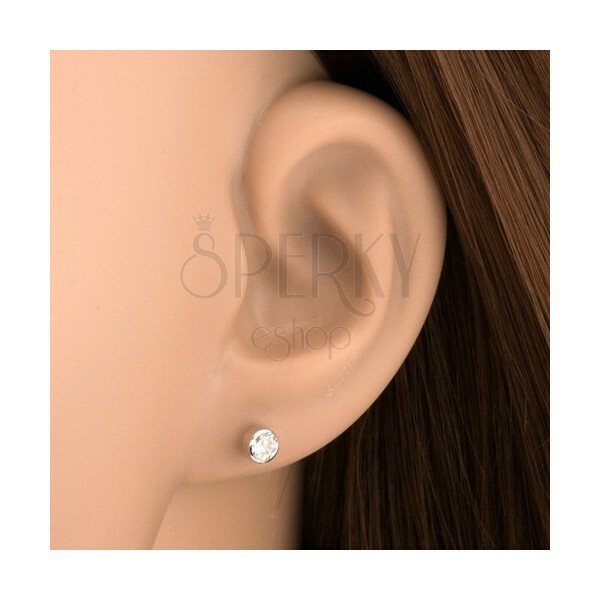 White 9K gold earrings consist of glittery zircon and holder into which it is embedded. Holder has smooth and glossy surface. Cut round zircon is available in clear coloured finish. Earrings have removable closure retained by friction.